Just testing the upload function of the site, it has been hit or miss and I've seriously gotten tired of trying to make it work. It's been a while since I've posted anything, cross your fingers on this one! 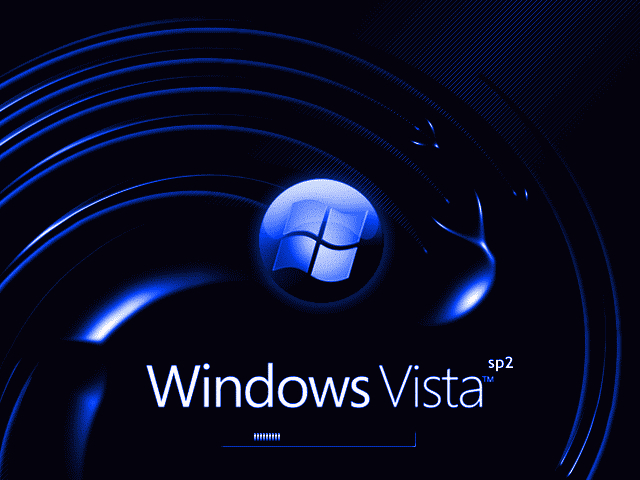 This is a simple straight forward Windows Vista SP2 bootskin, I think it looks pretty good for 16 colors, the blue & black is very nice. Contains the Windows Vista logo, a faded blue & black background image that I created myself (still using macromedia fireworks) and a multi-tone progress bar. Nice - Job upper class! but .. I..., of thy these Circles - slightly dizzy (honestly, honestly ..
By the way, You have the estimate is lower than of the boy..